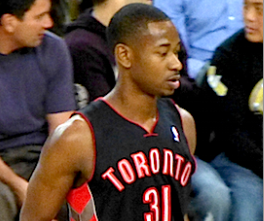 Terrence Ross: Without a doubt, Ross jumped on a ton of fantasy radars with his 51-point game against the Clippers. Ever since the Rudy Gay trade, Ross has been a solid contributor for the Raptors. Over the last month, he has put in 12.3 points, 4.5 rebounds and 1.0 steals per game. Along with that, he has made 2.4 three pointers a game and shot 81% from the free-throw line. Ross’s downfall will always be his poor field goal percentage, as he is shooting just 39% from the field during this recent hot streak. With DeMar DeRozan now dealing with an ankle injury, Ross should only continue to get more playing time, making him a must-own. J.R. Smith: After being an absolute failure for most of the first half of the season, Smith has returned to being a solid fantasy player in the last two weeks, during which time he is averaging 16 points, 3.3 rebounds and 2.7 assists a game. The best news, however, is that he is again a main cog in the Knicks rotation, as he has received 33.4 minutes a game over the past two weeks and is back to making 2.4 three pointers per game. With teams focused on stopping Carmelo Anthony, Smith has found more open looks and taken advantage of them. 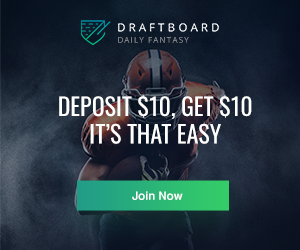 With no clear second option after Anthony, Smith should be able to maintain his recent scoring binge, which puts him in the category of must-own fantasy players. Mario Chalmers: With Dwyane Wade seemingly becoming a part-time player, Chalmers has stepped up his game since returning from injury on January 17th. In seven games since, he has scored in double figures four times while putting up at least three assists in each contest. Chalmers has always been a player who specializes in a roto league, as he has averaged 1.8 steals per game on the year along with 1.2 three pointers and 3 rebounds a game. Since his return, Chalmers has been playing 31.3 minutes a game and has made Norris Cole a non-factor for Miami. With his ability to produce across the board, he should be owned in nearly all leagues. Marcus Thornton: Thornton has always been one of the most inconsistent players in the NBA; this week was a great example, as he had a game of 42 points to start the week and a game of just 2 points to end it. If the Kings are forced to play without Rudy Gay and DeMarcus Cousins, they will become more reliant on the talented Thornton to be a top point producer. If you are looking for a flier with a ton of upside, Thornton should be your guy. Steve Blake: In case Blake is available in your league, be sure to watch the next week to see if he returns. Prior to his injury, Blake was playing spectacular basketball and had gotten up to 10 points and 7.7 assists per game on the year. With the emergence of Kendall Marshall, Blake will see less playing time, but he could still carve out a valuable niche as a reserve point guard and shooting guard. Tyson Chandler: A player who remains available in leagues who should be 100% owned, Chandler has had four double-doubles in his past seven games. Since his return on January 14th, he has returned to his dominant low-post presence for the offensive-minded Knicks. Chandler has not been as dominant of force in the blocks category as most would have hoped, but as a big who shoots well from the field and the free-throw line, he can bring a great combination of stats. If Chandler is available in your league, hurry out to get him, and expect numbers near 10 points and 11 rebounds a game to continue for the remainder of the season. P.J. Tucker: With a variety of players contributing for the Suns, Tucker has likely gone under the radar as a solid fantasy pickup. However, in his last 15 days he has put up 10.4 points, 7.6 rebounds, 2.3 assists, 1.3 steals and 0.6 three’s a game. For a player getting nearly 31 minutes a game, those are numbers enough to warrant a roster spot. Along with that, Tucker also shoots 46% from the floor and 82% from the free-throw line, which rounds out his complete game. He will not wow you in any one category, but an all-around game makes him a valuable asset. Boris Diaw: With nearly every player on the Spurs roster struggling with some sort on injury, Diaw has seen his playing time rise over the past weeks. He has scored in double figures in five of his last seven games, while also putting in his normal assortment of other stats. Diaw is the rare center who does a lot of damage from the outside, as he is making 1.4 threes a game over the past two weeks while also grabbing 3.8 rebounds a game. He will not average a ton of blocks or steals on a nightly basis, but he does have the capability to put up solid numbers in a given night. The return of Tiago Splitter will not help Diaw, but remember that Tim Duncan regularly gets days off, which provides a huge boost to Diaw’s value. Anthony Bennett: Bennett has not looked anything like a number one pick this year, but he did put a nice 15-point and 8-rebound line on Tuesday against the Pelicans. With Anderson Varejao currently injured, Bennett should continue to see an increased role and may finally find his rhythm. Although it is unlikely that he will turn into a relevant fantasy player this year, he may have keeper value in long-term formats. Ronny Turiaf: The injury to Nikola Pekovic has opened up a huge hole for Turiaf in Minnesota. The veteran big man has had two straight productive games in Pekovic’s absence with a combined 18 points, 15 rebounds and 3 blocks. He is by no means an offensive threat, but if plays north of 30 minutes in a given night he is certainly a candidate to grab 10+ rebounds and block 2+ shots a night. In our weekly look at the waiver wire in fantasy basketball, RotoBaller Brad Leibfried gives us some in-depth NBA analysis about which players to target off the waiver wire, and which players to continue scouting. RotoBaller covers the best fantasy basketball waiver wire pickups each week, so stay tuned!